Here is solution to the brain teaser in which one has to find the mistake. It is solution to the 1st brain teaser in the post titled Can you find the mistake? (Picture Puzzles for Teens). 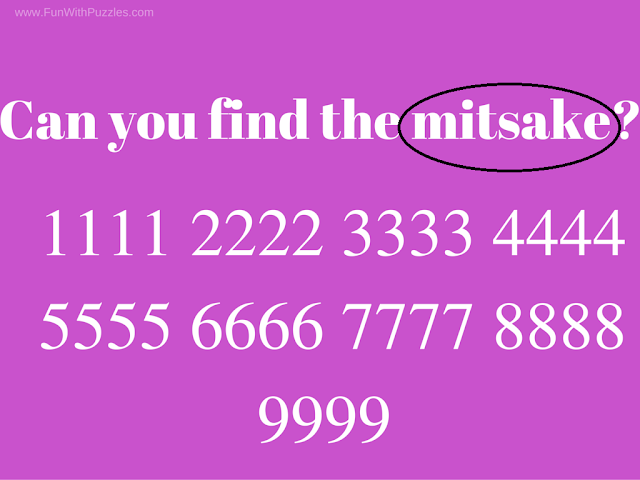 Mistake is spelled incorrectly as mitsake in this brain teaser picture.